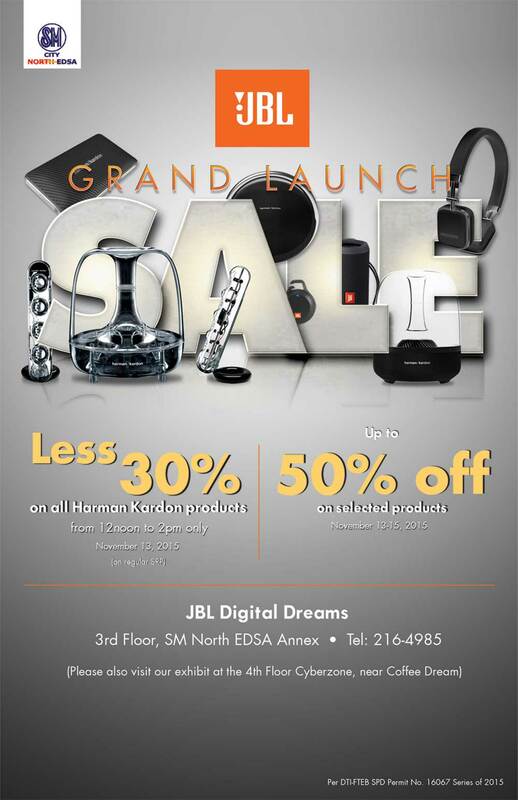 Home AKG< JBL Digital Dreams Harman Kardon JBL JBL Digital Dreams Grand Launch, Grand Sale! JBL Digital Dreams Grand Launch, Grand Sale! JBL Digital Dreams in SM North Edsa will be having it's Grand Launch this coming Friday, November 13, 2015. You're in for a treat and get up to 50% off on JBL, Harman Kardon products and more. This is inline with JBL Digital Dreams' Grand Launch, as it gets its fresh new look shown to the public this Payday Friday. 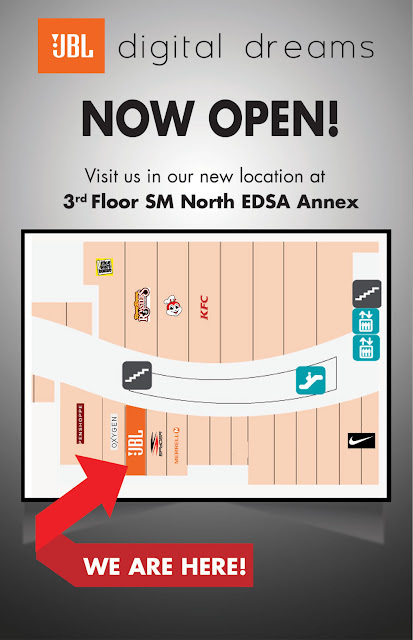 It's one of the first Official JBL Stores in the country. Well, now there's 5 of them, including their latest store in Fairview Terraces, QC. During the JBL Digital Dreams' Grand Launch on the 13th, a 30% discount will automatically apply on all Harman Kardon products. This starts 12 noon to 2PM only same day. In case you can't be there during the first 2 hours of the JBL Grand Launch, you can still get big discounts on selected products. The Grand Launch Sale will run from November 13 to 15 where up to 50% off is applicable on selected AKG, JBL and Harman Kardon products. There will also be an exhibit at the 4th Floor Cyberzone, where you can, not only gaze but also test and feel the latest models of earphones, headphones, portable speakers from JBL, Harman Kardon, and AKG. Feel free to spread this great news!